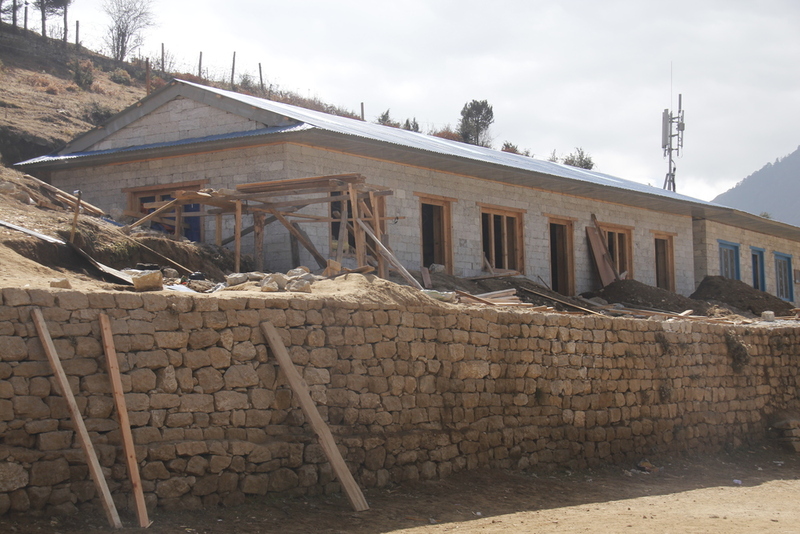 We are proud to have provided funds in conjunction with the Sherpa community that enabled the construction and furnishing of the new Shree Himalaya Nursery School in Namche Bazaar. 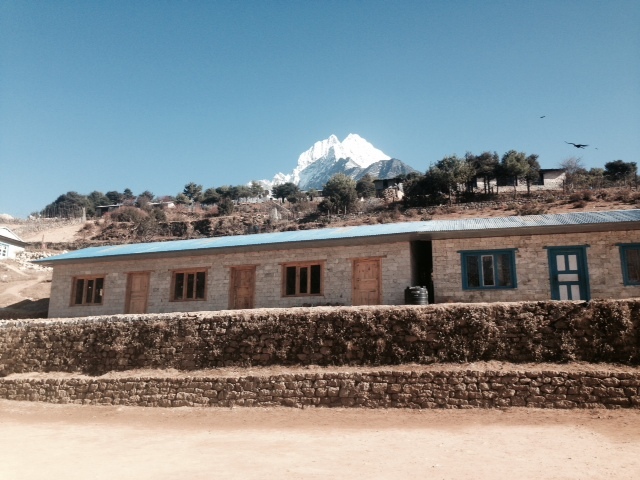 Building a school in the Khumbu was a new venture for us. In the past our commitments have always been to sponsor children to attend schools in Kathmandu. This was primarily due to children living too far from schools in the Khumbu region and the lack of qualified teachers provided by the government. This has begun to change. In Namche a boarding house was created to provide children a quality environment to live while attending school and good teachers have been hired by the local communities to replace government employees. In essence, because of these changes good schools with boarding facilities can now be built in the Sherpa communities where familes can visit their children more often and the children can grow up in their native culture. Several leaders of the Namche community approached us with a plan to build a nursery school to accommodate 60 children. We offered to provide half the funding if the community committed to raising the rest. This was no small undertaking. In the words of one of the school’s trustee, "We had to collect from all the people in Namche, the Sherpa who live in Kathmandu and also the parents who came from outside of Namche". Within 2 months our combined donations totaled $75,000 and the school was completed in 8 months and inaugurated in April of 2015.We see the success of partnering with the community giving some ownership in the hard work and dedication it takes to build a new school. We are eager to build on its success and use it as a blueprint for how we might work with other Sherpa communities and villages in the near future. 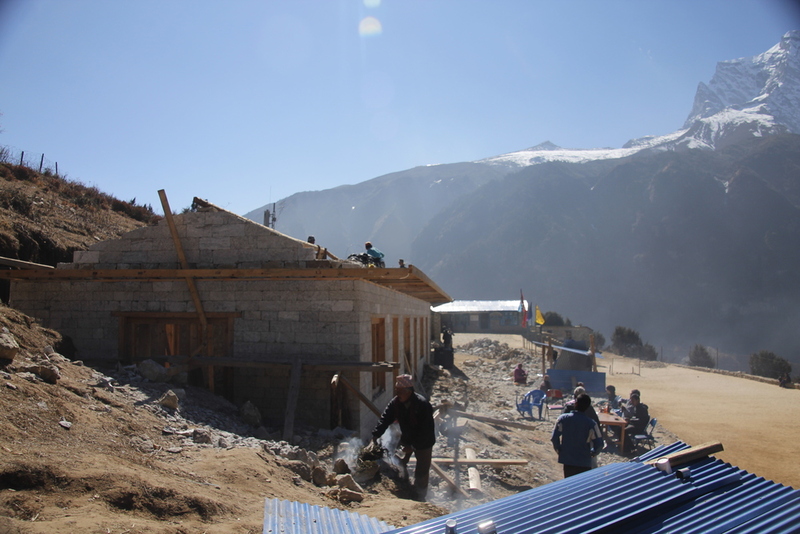 The pictures below show the construction of the Shree Himalaya Nursery School with a plaque dedicated to the people of the community as well as the Sherpa Education Fund and all supporters. Construction started in Fall 2014. The building was inaugurated on April 24th, 2015, the day before the earthquake. Luckily the tremors only caused minimal damage to the school and after repairs it was back in use by late May 2015.